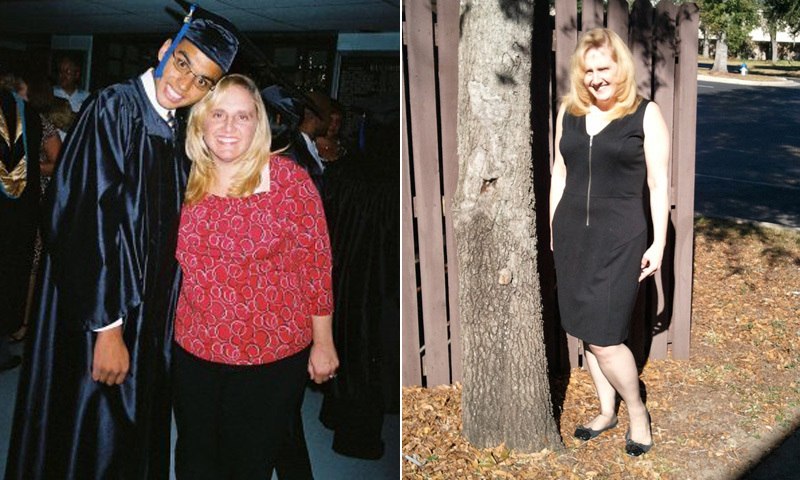 How I Gained It: I have been overweight most of my adult life. I started gaining weight after the birth of my son. By the time I hit the age of 20, I weighed more than 200 pounds. I ate mostly fatty foods and drank about two two-liter bottles of soda a day. I would wear big sweat pants in an attempt to cover up my large body. 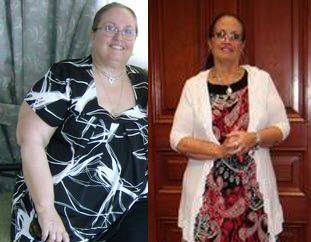 Over the years, my weight kept climbing until I hit my all time high of 263 pounds. I was shocked that I had gained so much weight. Breaking Point: In 2012, I started cutting back on how much soda I was drinking, and I lost some weight by accident. I was down to 246 pounds. It felt so great that I decided I would get healthy. How I Lost It: The first thing I did was stop drinking soda. I stopped eating fast food, too, and stopped buying junk snack food. If I wanted a treat I’d get a one-serving size bag of chips or a single ice cream instead of buying a family-size bag or a whole carton. Then I started eating small meals of vegetables and lean meat, and added protein bars and shakes and complex carbs to my diet. I started drinking a lot of water, too. I eat four small meals a day now on a small plate. That way I don’t fill a big plate with more food than I need. I weigh myself once a week and keep a journal of my weight each week. I joined Planet Fitness. It was hard at first, but I made myself do it everyday. I started walking three miles a day on a three-inch incline, which would take me an hour. Then I would strength train four days a week. Now I walk 30 minutes on the treadmill on a seven-inch incline and strength train four days a week, with fewer reps. I have lots of energy, my mood has improved and I live a healthy lifestyle for the first time in my adult life. I have learned to enjoy exercise now. I am way more active. I feel like I am really living life for the first time in years. Last time I had soda was a week ago. Watch the documentary “Fed Up” and it could help change the way you view soda. Stick with water and an occasional (no additive) coconut water. I add fresh lemon to my water and it’s great. Soda is one of the worst things you can have, even diet! Cut out all processed sugar period! Stephanie Gardner Beltz, You could also flavor your water with fruit. I put lemon or lime in mine! Hi Stephanie Gardner Beltz, I don’t think there is a easy way, I just made up my mind to quit, I prayed to God to help me and I succeeded. All the time only water!?! What’s the easiest way to quit drinking soda? No soda, lots and lots of water! I think if people knew how bad soda was for them they probably wouldn’t get hooked on it like I did. I was at a 12 pack a day of Pepsi. I have to say that since I quit I’ve never looked better or felt better. i dont drink any soda but im still fat. i know i need more exercise & i always have an excuse not to do it. mostly b/c im tired from taking care of kids, home, husband, & pets. Ive tried to cut out soda but keep going back. Pepsi is my addiction. Great job!!!!! Congrats!! I’m trying to do the same and drink LOTS of water! It does work!!! Give up them sodas people!!!! 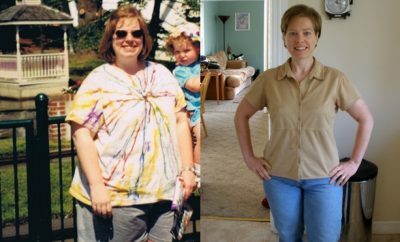 I stopped drinking pop when I started college and lost two pant sizes! It’s the small changes that can make a big difference. Great job Courtney. Awesome job. Eating is definitely the key to losing weight. exercise is awesome for toning and getting lean but if you eat like crap you won’t get the results.